10.4" x 11.6" stitched on 14 count. 8.1" x 9.1" stitched on 18 count. 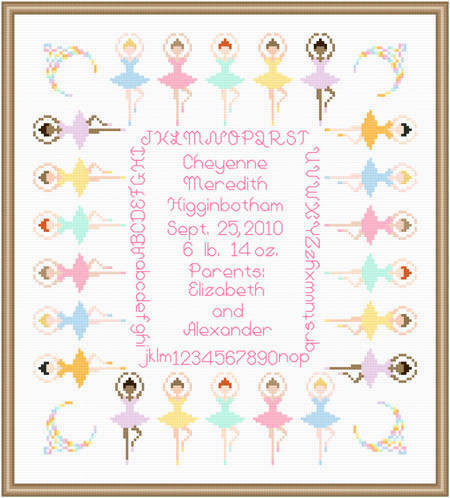 Ballerinas Baby Sampler cross stitch pattern... This baby announcement sampler is bordered by a row of ballerinas. The corners are enhanced by diagonal rainbow tiaras. Whole and back stitches are used.